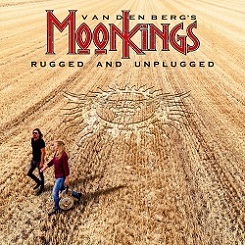 ‘Rugged and Unplugged’ is a nice stripped back acoustic album which features songs from across Adrian Vandenberg’s career. From his first band Teaser as a 20 year old he has always used an acoustic guitar in his recordings, which along with the electric guitar creates the light and shade dynamic that is the cornerstone to all of his records. 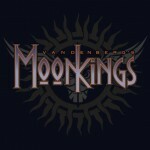 “For me, the sign of whether a song is good or not, is whether it still stands up when it’s completely stripped down to the bare essence of it,” says Vandenberg. He continues, “What I find with acoustic versions of songs you already know, is that they can touch you in a different way than the full band and even orchestral versions. You don’t get ‘impressed’ by big guitars, drums and even orchestras. As a performer you can’t hide behind all that, so what’s left is the emotional content of the performance and the actu al song. With this project they took the opportunity to strip down the big orchestral arrangements on songs such as ‘What Doesn’t Kill You’ and ‘Breathing’ to just Vandenberg on acoustic guitar and the voice of Jan Hoving. His 1983 hit ‘Burning Heart’ (Vendenberg) gets a fantastic new arrangement, "my favourite singers ever since my teens have always been guys like Paul Rodgers and David Coverdale, Adrian continues". "Since I wrote this song in 1981, I’ve always pictured it sung by a singer with such a tone of voice and vocal abilities". "Jan is such a singer as you can hear", he explains. ‘One Step Behind’ has a graceful warmth and ‘Walk Away’ feels both intimate and anthemic. As a reviewer my verdict about Jan is not the same in about every song. On some songs he nails it big time, on others i think his voice can become a bit boring thruout the song. The technical singing quality is there but somehow don't get really exited by it depending on the song. Whitesnake’s original ‘Slip of the Tongue’ song ‘Sailing Ships’ shows the fantastic skills adrian has on acoustic guitar. A delicate beauty which gives you goosbumbs al the way thru the song.. ‘Out Of Reach’ is the only song that features drums, bass and violins and has a fuller warm cascading elegance. The last song is the instrumental ‘Sundown’. 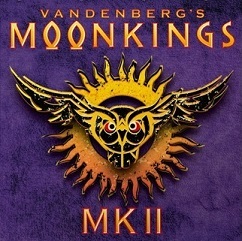 Like the two previous MoonKings albums, ‘MoonKings’ (2014) and ‘MK II’ (2017) it was produced by Adrian Vandenberg himself. It was recorded between Vandenberg’s home studio and Jan Hoving’s farm. This was not the actual plan but because of the very hot summer they had to do it this way while Jan was very busy farming. The result is Vandenberg and Hoving doing what they do and love the most, playing music straight from the heart. A proper studio however would have done more credit to the songs i suppose which seem a bit rushed here and there indeed. The verdicht: A nice in between album for true Moonkings fans with some extra's to keep Whitesnake and Vandenberg fans happy as well. The actual production could have been better if more time was on their hand. Maybe this is also the reason it only holds 8 songs which to my opinion is a bit short.